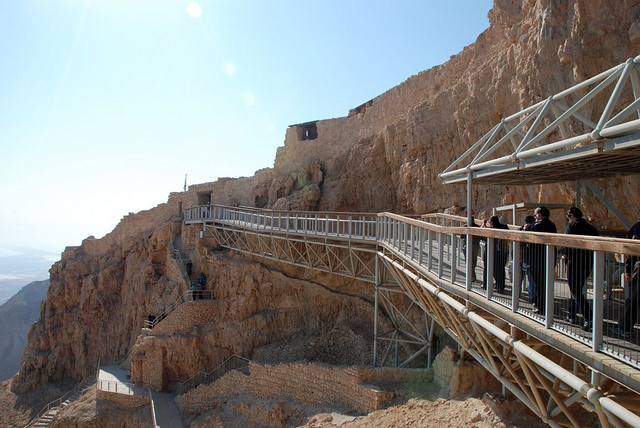 One of the most interesting historical sites we visited in Israel was Masada, which I've heard described as the Israeli Alamo. That definitely doesn't do the story behind it justice, but it's a starting point. 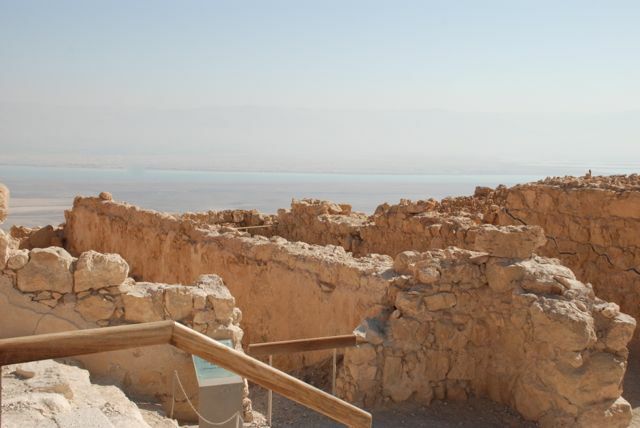 On the drive down to Masada, which overlooks the Dead Sea, we passed packs of camels in the desert. I didn't do much to quiet my squeals of excitement (I was the kid who, growing up in the Midwest, never tired of calling out when I saw cows along the freeway), and Ezra, our tour guide, promised me I'd have a chance to get up close and personal with one of them before long. 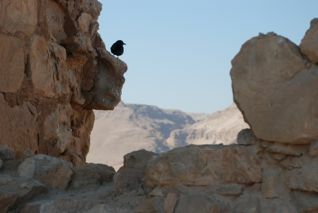 At a stop halfway between Jerusalem and Masada, we pulled over for a few minutes of photo-opping with this lovely creature. 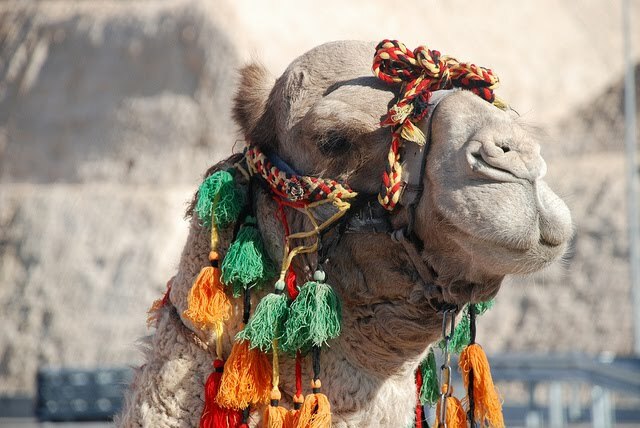 It was all very tragic and circus-like, of course, the camel decked out in garb and forced to sit-stand-turn-sit for the amusement of bus loads of tourists. I felt awful for the animal, though he (she?) seemed to be healthy enough (because I know so much about camels). I was the only one of the group who wanted a ride. Yeah, I don't know quite what that pose was. The poor thing probably just wanted me the hell off her back. And as you can see, I was photobombed by the entire tour group. 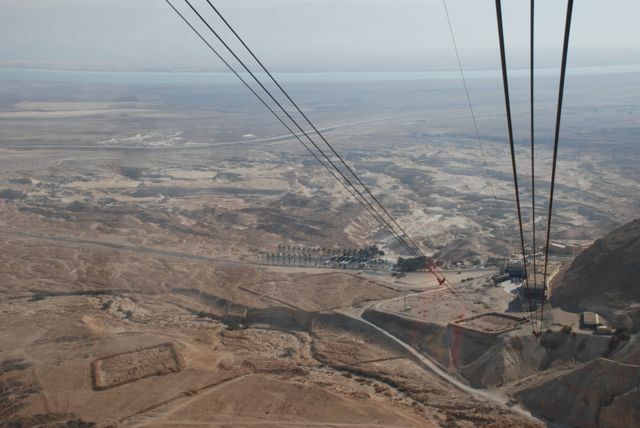 So much for a clean, picturesque backdrop of the desert. I fully deserve it for participating in animal exploitation. 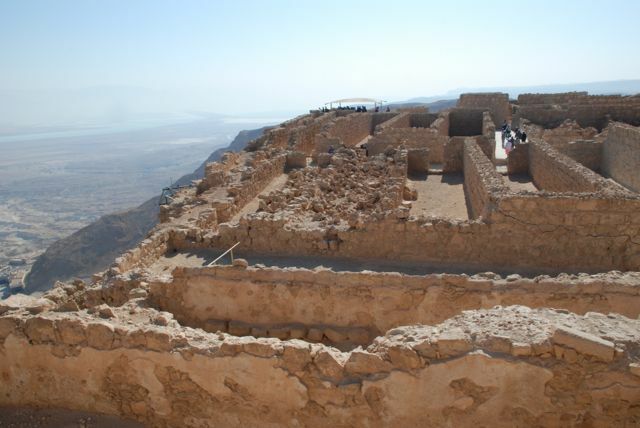 The fortress of Masada was built as a refuge by Herod in 37 BCE, and was a Roman garrison until 66 CE, when it was overcome by Jewish extremists called the Sicarii. 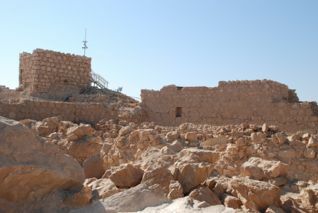 The Sicarri settled atop the mesa, and used it as a base to harass the Romans. 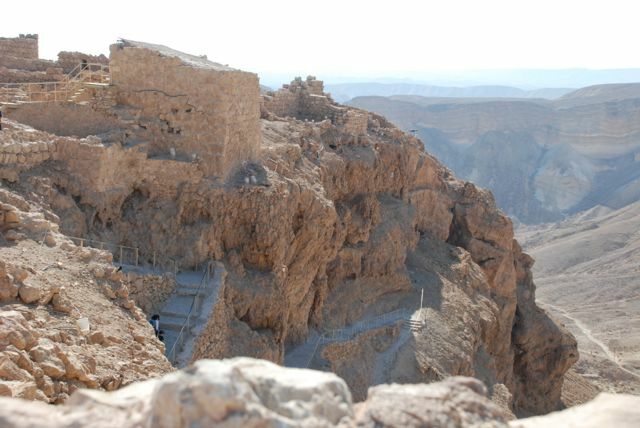 In 72, the Roman governor Lucias Silva led a legion to lay seige to Masada; in order to breach the fortress, the soldiers had to build an embankment by moving thousands of tons of stones and earth. 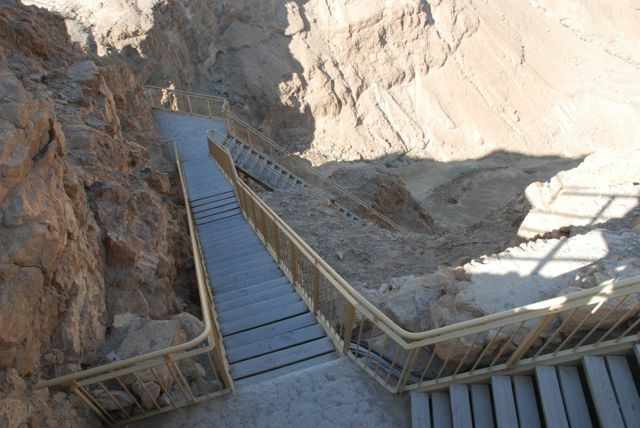 Details vary by account, but it's certain that this was an epic feat of construction. 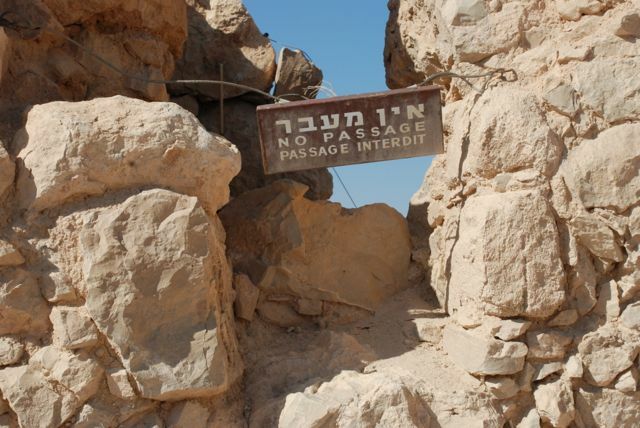 It took the Romans months and the use of a battering ram to finally breach Masada's outer wall. 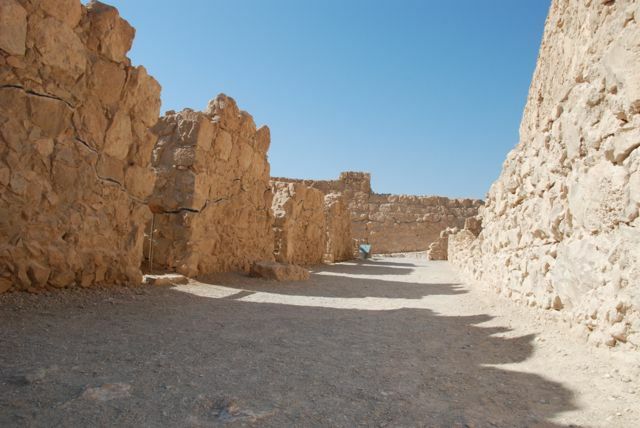 However, when they finally got in, they saw that the 960 inhabitants of Masada, rather than submitting to Roman rule, had committed mass suicide. 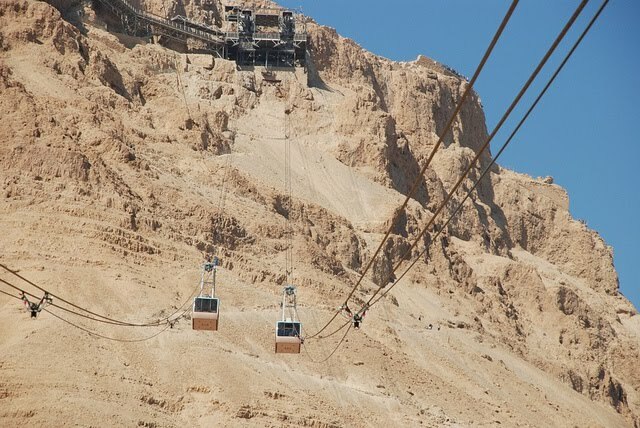 Legend goes that, since Judaism forbids suicide, the inhabitants drew lots to decide who would kill the others (including women and children), and who would remain the last man standing, and would have to kill himself alone. 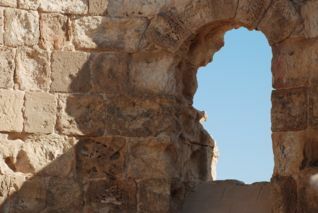 The defenders' leader, Eleazar, ordered his men to leave their stores of food intact, in order to show the Romans that they had been alive and thriving, but had chosen suicide over slavery. 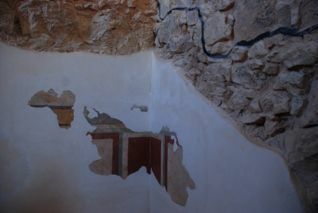 The story was relayed at the time by two women who had survived the killing by hiding in one of the cisterns. 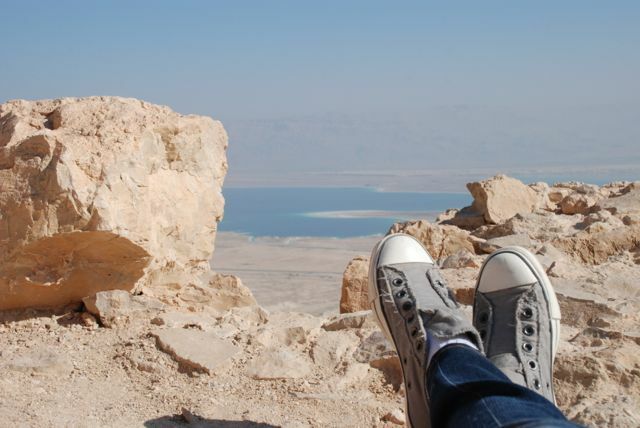 The air was so crisp and fresh, and you could see clear to Jordan, across the Dead Sea. I wandered off alone and sat on the edge of one wall for a few minutes, trying to imagine what it would have been like. Seriously, think about that. Every single person you know, including your parents and children, faces one of two choices: become a slave or be willingly murdered (prohibited by your belief system). The biggest decision I had to make today was tea or coffee? 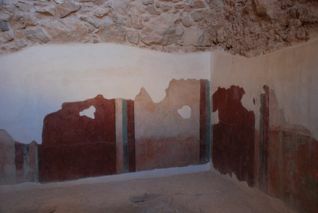 The site was beautifully and painstakingly maintained. 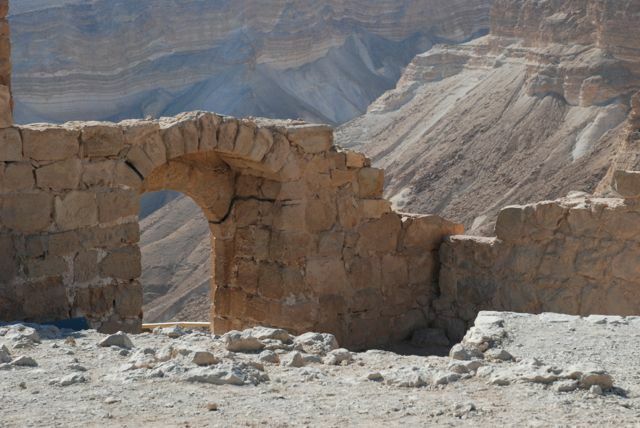 It had been partially reconstructed, and wherever new stones had been added, there was a black line to delineate the difference. You'd never have been able to tell, otherwise.